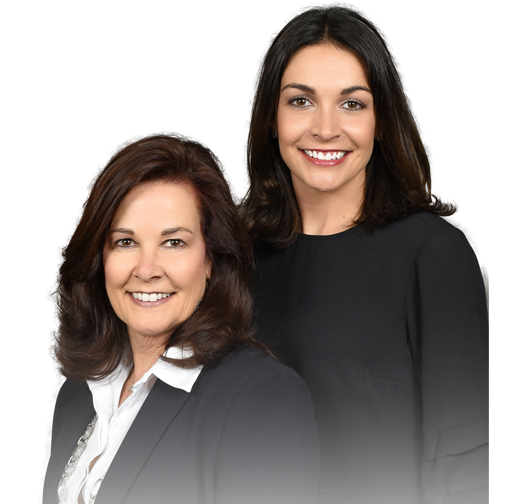 We are Carol and Amanda Lott, a mother/daughter real estate team with Crye-Leike REALTORS in Memphis, TN and the surrounding areas. With an average of 1.6 closing a week, we help buyers and sellers move into, out of, and all around Shelby County. Being native Memphians, we have lived everywhere in and around this great city. Our continued education from & involvement in our local, State, & National REALTOR Association ensures we have our finger on the pulse of what is going on in the Real Estate market. This knowledge, experience, and transaction history translates to us being the only source you need for buying and selling! Please go to the About Us page for more information on individual accomplishments for Carol and Amanda. "I found working with Amanda and Carol a pleasure. Most of my interaction was with Amanda but they both kept me completely informed throughout the sale of my condo and the purchase of my new home. Amanda was knowledgeable about the different neighborh..."
"This was the second house Amanda and Carol have helped me buy and I highly recommend them. " "Amanda was the perfect realtor for a first time buyer! Excellent at explaining and dumbing down all of the hard to read paper work. She is very knowledgeable of neighborhoods and what areas are up and coming. She was quick to respond and Great st kee..."
"Amanda and Carol's knowledge of Memphis and the city's real estate market made our move to town seamless. As first time home buyers, we had a lot of questions, and Carol and Amanda were always accessible, and quick with answers to our myriad question..."
"Relocating to Tennessee from California, I showed up in Memphis with the general idea of finding a condo downtown, but I really didn’t know where to start. Carol showed me a wide variety of properties and very quickly picked up on what I liked and..."
"Carol and Amanda are personable, responsive, and professional. Months before we were even seriously looking for a condo, Carol set up alerts on our favorite buildings in the neighborhood just so we could see what was available in case anything specia..."
"We needed to get our house on the market ASAP due to relocating for my husbands job. I got my house ready, they came over to take pictures, they put it on the market and it was under contract the next day. They are fast, professional and extremely kn..."
"Great home selling/buying experience! They made it easy. We had multiple offers on the house I was selling, the first weekend it was on the market. We also toured many houses before we found the right house for us. Thanks! " "Amanda and Carol have been amazing through every step of our buying and selling process. They were knowledgeable in guiding us through prepping our house to sell (it sold in 4 days) and were very accessible and proactive during our house search. We k..."